Name a person in the industry that is on the top of his or her game in your role. Nicholas Matthews: There are so many tremendous cinematographers still working at the top of their game, but I’ll name a few that are constant inspirations for me. Roger Deakins, Robert Elswit, Robby Mueller, Mátyás Erdély, Sean Bobbitt, Emmanuel Lubezki are among a long list of inspiring visual artists. Nicholas Matthews: Most recently, I’ve shot a mixture of music videos including Ice Cube’s “Good Cop, Bad Cop,” Five Finger Death Punch’s “Gone Away,” and Rise Against’s latest music video. Additionally, the last feature I shot Shooting in Vain stars Alexandra Park (The Royals), Isabel Lucas (The Pacific, Transformers 2), Diana Hopper (Goliath), and Sebastian Gregory. The film recently wrapped post-production and will be starting its festival run very soon. What’s the coolest project you’ve worked on before? Nicholas Matthews: I’m drawn to character-driven films that immerse the audience in a specific world defined by a distinctive visual grammar. 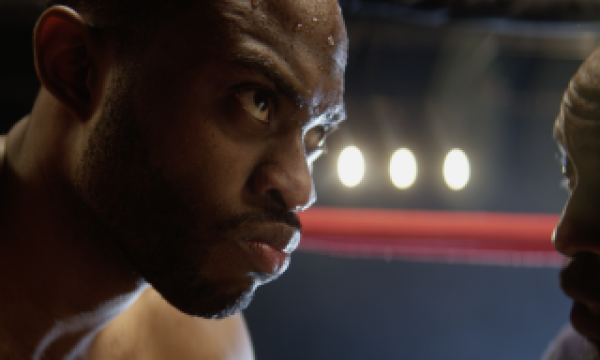 The last two feature films I shot afforded me that opportunity in very different ways. For Blackmark, a Cold War spy thriller, director AJ Martinson and I used our camera movement, lighting design, and color palette to orient the audience. The film follows three major storylines that involved jumping quickly between the U.S. and Soviet Russia throughout the script. Thus, it was essential that we establish a visual grammar that both united the film and separated the geography. To illustrate, we decided to favor a more active camera in the Soviet sequences, using predominantly handheld and some steadicam whereas with the American sequences we favored more formal, disciplined camerawork and composition using wide lenses on dolly and sticks. Stuck in between these two worlds is a rogue agent where we explored a mix of camerawork (handheld, dolly, sticks, steadicam) that embraced a range of styles and choices to reflect the changing nature of the character and his relationship to the world around him. Aside from camera movement, we also we designed contrasting color palettes for the Soviet and American world (earth tones vs monochromatic blues), and we used a mix of those colors with our rogue agent to reflect the character’s journey. Lastly, we featured low-key lighting with heavy use of shadows to silhouette, toplight, and hide the actors thus creating a sense of mystery. For Shooting in Vain, the drama I most recently shot, the director Jared Januschka and I spent a lot of time in preproduction working through a number of visual rules to differentiate our past and present sequences. These included using different lens sets (anamorphic and spherical), different styles of coverage (oners with classical staging vs. standard cutty coverage), camera movement (tripod head/dolly vs. handheld), color palette (warm to cold vs. cold), and composition to represent the character’s emotional states. Within both of those films we were able to still develop a unique progression in each world. Nicholas Matthews: If possible, I try and get onset a little earlier than the rest of the crew, so I visualize the day as well as what we’re aiming to achieve emotionally from the scenes. Nicholas Matthews: If I’ve already given my crew specific ideas and directions, I tend to introduce myself to any key players I don’t currently know. In my opinion, it’s important that the cinematographer make people feel at ease about what the tone on set will be like. Communication is so critical in that endeavor and I think morale plays a huge factor in the way the day will proceed. We want to establish that we’re all on the same team making the same project together, and every individual is a crucial component of that endeavor. How did you break into this industry? Nicholas Matthews: In college, I had my first on-set experience as an art PA on the indie feature Pete Smalls is Dead. 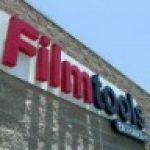 Later, I moved back to the Midwest and worked as an editor for a few years before cutting together my reel and moving to Los Angeles with my wife. Less than 6 months later, I was lucky enough to shoot my first feature film. Nicholas Matthews: Film Production is a rough and tumble job with a lot of moving logistical pieces and budgetary restrictions—but it’s important not to lose sight of the goal in the midst of necessary compromise. Instead, it’s about finding happy accidents and maximizing your resources in spite of restrictions and finding creative solutions. So much of the job is knowing how to cleverly adapt and overcome a variety of challenges. Do you have a piece of essential gear that you don’t leave without? Nicholas Matthews: I tend to keep my laptop, DSLR, and lightmeter with me on every shoot. Additionally, since I tend to shoot a fair amount of handheld, I always bring this shoulder pad I picked up (Filmtools Black Camera Comfort Cushion) as a quick way to jump from tripod to handheld while protecting my shoulders. Nicholas Matthews: Currently, I’m re-watching The Night Of because the cinematography is some of the best visual storytelling I’ve ever seen. The use of negative space to communicate the characters as these people trapped by a system that corrupts and destroys with it’s unwieldy justice. Beyond that, their are so many smart, tactile choices that set up and pay off visually throughout the series without ever feeling forced or flashy. Nicholas Matthews: This all depends upon my schedule and the show, but I do tend to watch 2-3 episodes at a time if I’m particularly drawn to a specific narrative. 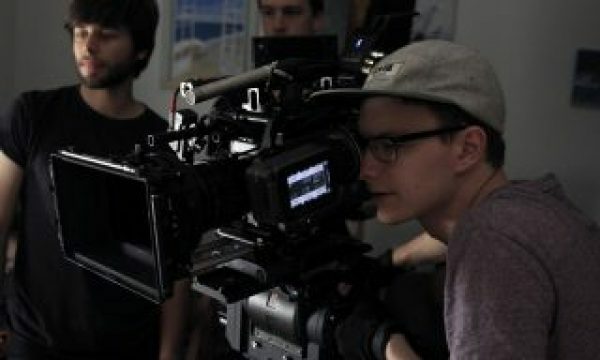 Nicholas Matthews: I’m currently looking into a variety of on-board and director’s monitors. I’m a big fan of the Sony OLED monitors and some of the SmallHD Onboards–particularly the SmallHD 703 and 503 monitors. 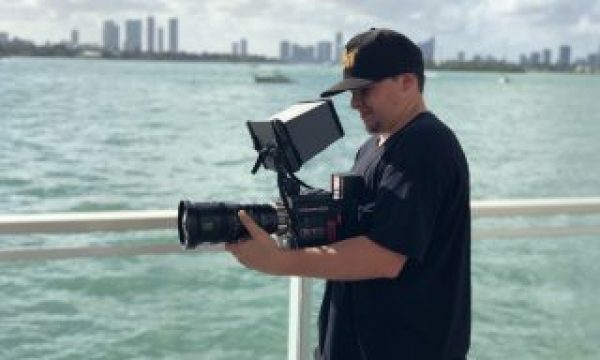 Nicholas Matthews: I’ve used different camera systems for almost every feature film I’ve shot, because the camera’s all offer different visual opportunities, and the tech is changing so quickly. In order to best serve every project that I shoot, I prefer to remain uninvested in a specific platform. Nicholas Matthews: Similarly, I’ve used different lenses for different textures and feelings on almost every project I’ve shot, and as such don’t intend to purchase any specific lenses. Additionally, I don’t see myself as a rental house that maintains cameras, lenses, etc, but to each their own. Nicholas Matthews: I’m more interested in what we put in frame and what that means than which changing tech or lenses we’re using. 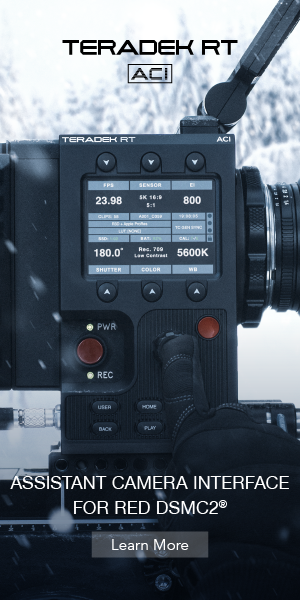 That said, I tend to favor the Arri Alexa family of cameras as I love the dynamic range, reliability, noise, and color on the camera. 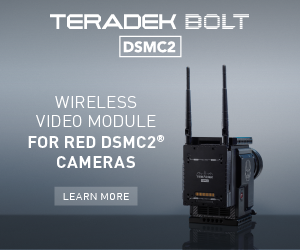 Even so, I’ve recently tested the RED Helium and Panasonic Varicam, and wouldn’t be shocked if I ended up shooting some material on those cameras soon. As far as lenses go, I love mixing it up by the project and have used the following over the past few years: Panavision Primos, Zeiss Standard/Super Speeds, Zeiss Ultra Primes, Cooke Speed Panchros, Super Baltars, Todd AO Anamorphic Primes, Kowa Anamorphic Primes, Elite Anamorphic Primes, Arri Master Anamorphic Primes, and others. Nicholas Matthews: I’m currently starting pre-production on my next feature film which is a subversive character study that explores themes of isolationism, toxic masculinity, and sexuality. Nicholas Matthews: While I’m still quite early in my career, here are a few things I wish I’d heard more when I was starting out. Expect to fail, learn from your failures, evolve, and grow. You can’t keep doing the same thing and expecting different results–experiment. It’s more important to make images that say something than images that are technically “perfect.” Create art that connects to your personal story and collaborate with strong female and male creators that connect with you as an artist along the way. If someone mistreats you, you don’t have to take it–you’re worth more than that. Your greatest ally is your individual human experience. That’s what sets you apart and makes you relatable. The feelings you have in the quiet dark of night will be shared by all your peers even though none of you are actually stating it. We all struggle with anxiety and feeling insufficient–that’s part of the artist’s journey. Embrace your fear and use it to channel your personality and ideas onscreen. Most people leave the industry because they’re not cut out for the mind-breaking, back-breaking work it requires. Don’t lose hope, believe in yourself when no one else will. Spend more time watching Tarkovsky and Bergman than watching gear tutorials. Read more Kafka and Faulkner than camera specs.